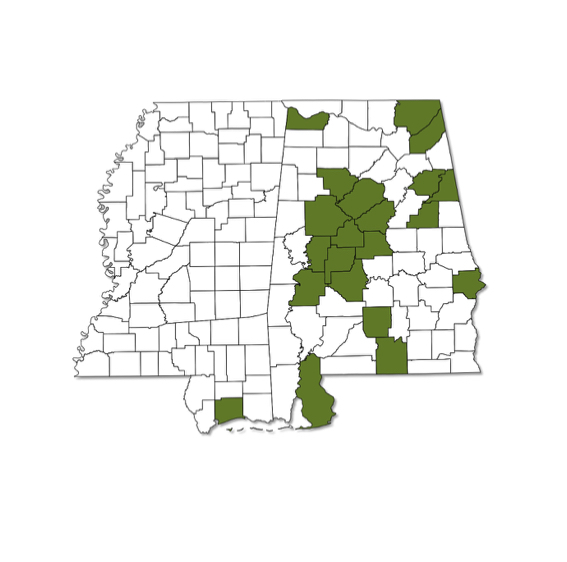 Medium-sized duskywing whose range is expanding throughout Alabama and Mississippi, flying from spring to fall. 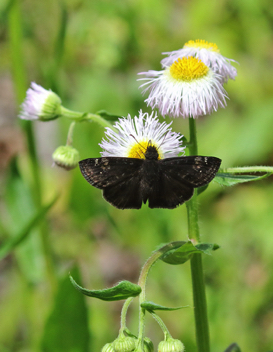 Variable, but typically with brown patch and without white spot at end of cell in forewing. Females more distinctly patterned than males. 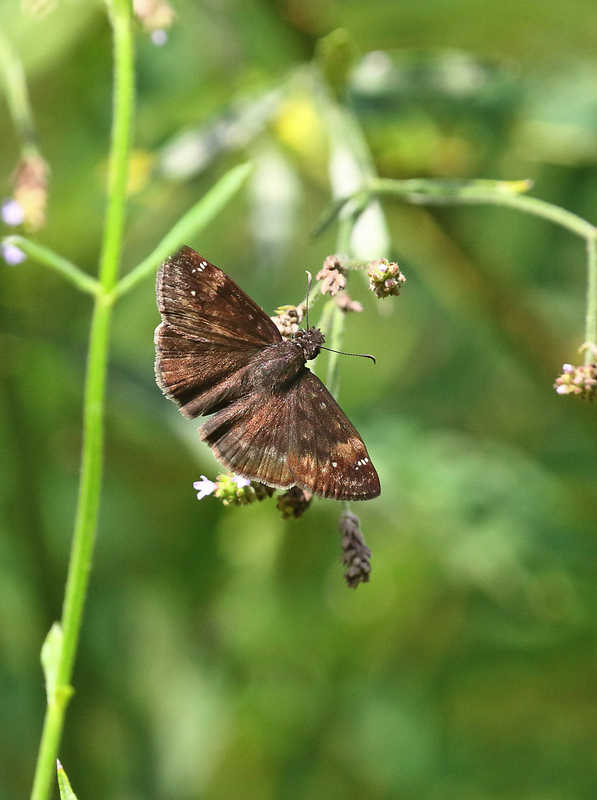 Upper surface of hindwing brown with scattered pale spots.